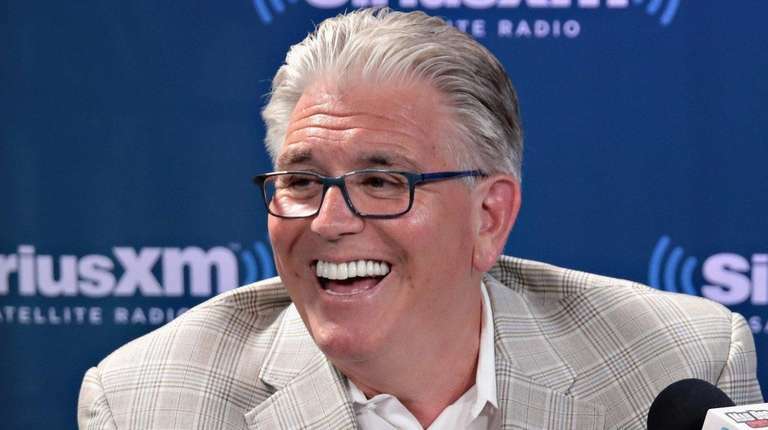 Mike Francesa still plans to leave WFAN in December, but on Tuesday he left the door wide open to rethinking that plan in the wake of last week’s arrest of morning co-host Craig Carton. Carton’s indefinite suspension immediately prompted speculation that Francesa might be asked to stay on so that executives would not have to deal simultaneously with potential openings on the FAN’s two most important shows. Francesa would have been subject to criticism had he changed his mind absent the Carton news, given the long buildup to his departure. But now he could remain on the job in the name of helping the station through a programming crisis. Jerry Recco filled in opposite Boomer Esiason on Tuesday. For now the station plans to use a variety of partners with Esiason, so far including Recco, Phil Simms and Brandon Tierney. Carton’s last show was Sept. 5. The next day he was charged with conspiracy and wire and securities fraud. In other Carton-related news, the “Boomer & Carton Kitchen” at Barclays Center will be no more when the upcoming Islanders and Nets seasons begin. But it has nothing to do Carton’s legal problems. A spokeswoman for the arena said the venue’s contract was up after last season and that it was not part of Barclays’ concessions plan for 2017-18 even before Carton’s off-air problems came to light.